The Regional Government decided to extend for a further week the closure of companies and commercial establishments operating in the Calheta Recreational Port. The decision came after a wave of criticism from some marketers who wanted more time to leave the space and solve some employee-related issues and supplier contracts. Some businessmen also want to get more clarification in terms of compensation. 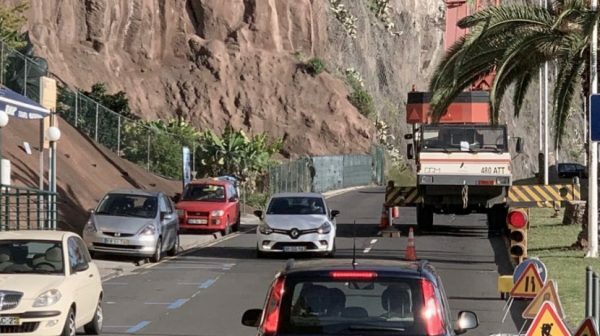 As for the works on the slope above the recreation port of Calheta, JM knows that these should start in force next Monday, January 21, although today several machines are already in place. As we had occasion to mention this morning, the car traffic in the village of Calheta is conditioned and is done through traffic lights. The intervention, which is based on reinforcement of the containment structures of the embankment, was announced by the JM last week, when the government announced that the works were already starting this Monday and that they would force the closure of traffic and of the establishments therein for a period of three months. With this decision, traders will then have more this week to dismantle the terraces and prepare the commercial spaces for their temporary closure. It should be recalled that the work, which should have begun last year, had been postponed until this January to coincide with the Christmas period and end-of-year celebrations, heights of greater affluence and greater source of recipe for marketers.